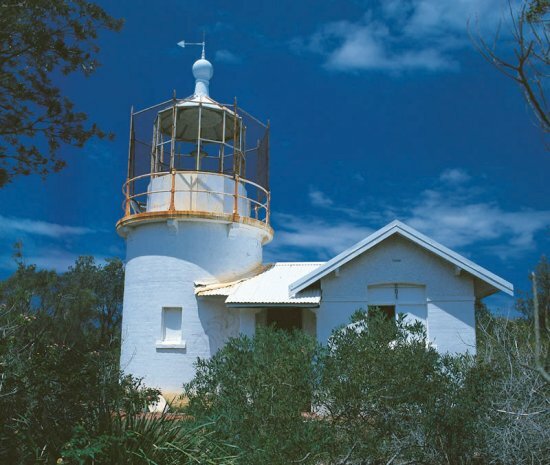 Crookhaven Heads Lighthouse | Lighthouses of Australia Inc.
Aside from the keepers cottages at South Solitary Island, this is probably the most endangered lighthouse in New South Wales and should be of great concern to lighthouse enthusiasts and the community at large. 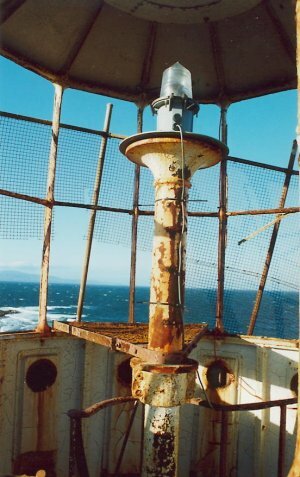 The original lighthouse was constructed of timber in 1882 and located as part of the Shoalhaven Signal Station on the beach 200 metres to the west of the current lighthouse. The apparatus had been a brass lantern. A red light made from a ship’s masthead light supported on two poles had been exhibited by boatmen here at the river entrance since 1872. The new brick lighthouse to the south of the mouth of the Shoalhaven River was commissioned in 1904 and the old wooden lighthouse was immediately demolished. 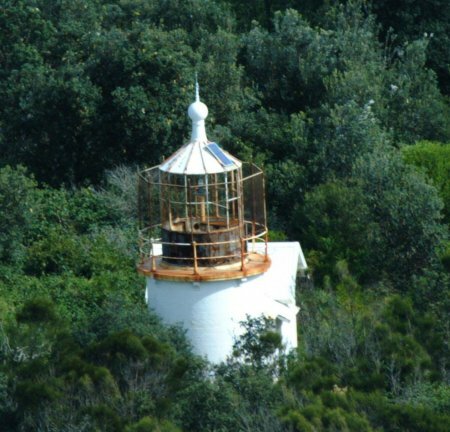 The new structure incorporated the lantern from the former lighthouse on Cape St. George which in turn had been demolished following the coming into service of the Point Perpendicular light in 1899. It was at this time that the name of the station was changed to Crookhaven Heads. 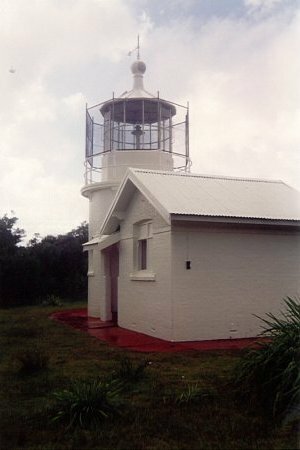 This is probably the most endangered lighthouse in New South Wales and should be a great concern to lighthouse enthusiasts and the community at large. The lighthouse has suffered greatly from damage over the years due to its isolation on a headland that juts out from the river mouth. This was further aggravated by the fact the reserve was like an overgrown garden and it was not at all visible from the nearby village. Several years ago the building was renovated but without an ongoing plan or presence it has not taken long for it to fall into disrepair again. The problem seems to be the isolation of the Crookhaven Lighthouse. 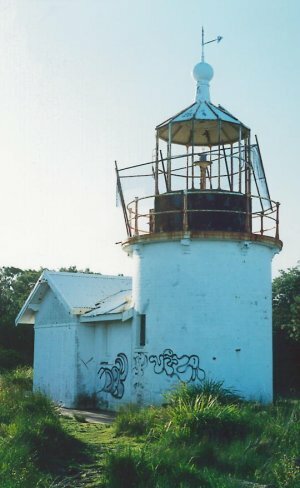 One step undertaken was to strip away the thicket that had grown around the old lighthouse with the belief that if the light was more visible it would be less of an incentive for vandals to move in a deface and damage the building. But until a permanent solution is found that protects the site the authorities are reluctant to provide further funds to restore the lighthouse. It is really up to the local community and those who have expressed concerns to raise the esteem of this Crookhaven icon by taking action to form a locally based group to preserved, promote and protect this most unique of New South Lighthouses. The lighthouse is accessed via a walking track from the carpark at the end of Prince Edward Ave in Culburra Beach. The grounds are open but the tower is closed.